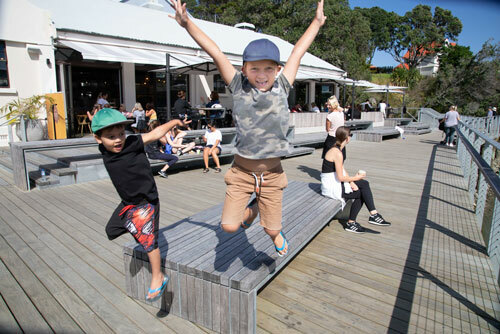 Hobsonville Point is suitable for all ages, interests and abilities. Our township is continually evolving, and there’s always something exciting in the works. So whether you’re new to the area or you’ve visited us before, there’s never a shortage of things to do and see at Hobsonville Point. Welcome. If you’re interested in what Hobsonville Point has to offer as a home and as a community, just follow these three easy steps. Visit the Hobsonville Point Information Centre (behind Catalina Café on Hastings Street) and find out more about the township. Check out some of the 10 show homes here. The Information Centre has all of the addresses. There are several show homes right around the corner on Liquidambar Drive. Walk, drive or bike the site and explore Hobsonville Point’s amenities.